With consumers returning an estimated $70 billion in merchandise during the 2015 holiday season, risk management firm Chargebacks911 explains how retailers can recoup revenue from returns and prevent fraud losses. Chargebacks911 COO Monica Eaton-Cardone explains how retailers can recoup revenue from returns and prevent fraud losses. According to industry estimates, American consumers returned $284 billion worth of merchandise in 2014 (1); and for the 2015 holiday season alone, experts projected approximately $70 billion in returns (2), with holiday return fraud expected to cost retailers $2.2 billion (3). Chargebacks911—a leading dispute mitigation and risk management firm—proposes three practical solutions that merchants can implement to minimize revenue losses from returns, fraud and chargebacks. While analysts estimate that nearly 10% of all retail goods sold are returned, that figure rises significantly for eCommerce merchants; up to one-third of goods purchased online are subsequently returned (1). And nearly one-quarter of all returns take place during Christmas and the post-holiday period (2). “Most merchants rely on the holiday shopping season to contribute substantially toward their annual revenue. But if they don’t have effective systems in place to handle returns, identify fraud and prevent chargebacks, they could lose a considerable portion of their sales,” warns Monica Eaton-Cardone, co-founder and Chief Operating Officer of Chargebacks911. She advises retailers to address three key steps that can help mitigate those losses. First, Eaton-Cardone says that retailers need to strike the right balance between offering easy returns and combating fraud. By making it simple and convenient to return merchandise—for example, by including return shipping labels with each order—merchants can maintain satisfied customers while avoiding chargebacks, which consumers may resort to if they find the return process too difficult. But if return policies are too lax or if there are not measures in place to verify the original purchase, merchants may find themselves the victim of return fraud. Second, retailers must determine how to maximize the value of returned merchandise. While they can restock unused goods that remain sealed and have the original tags, any items with opened packaging, missing tags or visible wear/blemishes cannot be resold as new. In such cases, Eaton-Cardone says merchants may be able to reclaim partial value by selling those goods at a discount, reselling them to a liquidator or sending them to a distribution center for refurbishment. She notes that companies like Optoro and B-Stock Solutions can assist retailers with the reverse logistics and re-sales of their returned merchandise. Finally, Eaton-Cardone urges retailers to proactively identify potential instances of fraud and to work toward reducing chargebacks. She maintains that the best solutions combine automated systems with human expertise. Automation allows for quick and comprehensive analysis of transactions, while human review ensures greater accuracy. Partnering with a trusted third-party vendor can help retailers manage their returns and chargebacks in the most effective and cost-efficient manner. Chargebacks911 invites online merchants to sign up for a free chargeback analysis and download a free chargeback prevention eBook to learn how effective risk management can minimize losses. 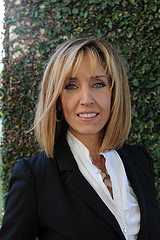 As part of the company’s commitment to educating retailers on risk management and fraud prevention, Monica Eaton-Cardone regularly speaks at industry events and is available for interviews. Among her upcoming speaking engagements is a session titled “Preventing Fraud in a Global eCommerce World” at the Growing Global conference powered by Multichannel Merchant. For further information on Chargebacks911 and its proven risk management solutions, visit http://chargebacks911.com.